The initiative is a partnership between the CDC, patient advocacy organizations, public health and industry partners. 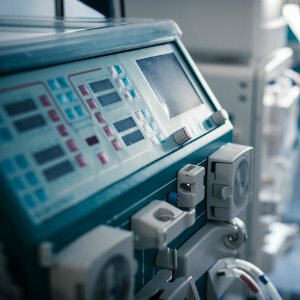 Here are three things you need to know about the CDC’s safer dialysis initiative. Your organization can join: If you’re interested in becoming a part of the coalition, fill out the form at the bottom of this page from the CDC. According to the agency, joining gives you access to CDC experts that can help with intervention implementation and you also have access to materials to use in clinics and with staff. Conducting monthly surveillance for bloodstream infections and other events using the National Healthcare Safety Network dialysis surveillance tips. Calculate and compare your facility’s rates with other facilities and educate frontline staff on your findings. Observe and educate staff on hand hygiene opportunities monthly. Observe vascular access care and catheter accessing quarterly. Be sure to look for adherence to aseptic technique when staff is connecting and disconnecting catheters. Train your staff to educate patients on infection control protocols including access care and aseptic technique, hand hygiene and recognizing signs of infection. Try to reduce the use of catheters by identifying and addressing issues to vascular access placement or catheter removal. Use an alcohol-based chlorhexidine solution as the first-line skin antiseptic when changing dressings or inserting a central line. Use an appropriate antiseptic after the catheter cap is removed and before accessing. This should be performed each time the catheter is accessed or disconnected. Use antibiotic ointment on catheter exit sites during a dressing change. You can access resources now: You can still access the CDC’s safer dialysis resources whether or not your organization becomes a member or partner of the coalition. They include more tips for preventing infection, hemodialysis central venous catheter scrub-the-hub protocol and more. Find them here.